There are two main varieties of cinnamon which are popular as the cinnamon of commerce. They are genuine cinnamon (Ceylon Cinnamon) and Cassia Cinnamon. Both these varieties belong to Lauraceae family. However the quality of Cassia cinnamon is very much lower than that of the genuine varieties. It has been revealed through experiments that Cassia contains a compound called Coumarin which is cancerous. Compared with the amount of Coumarin contained in Cassia what is found in the local cinnamon is almost negligible. Therefore, the indigenous variety of cinnamon is considered to be superior in quality. Cinnamon has originated around the central hills of Sri Lanka and even now cinnamon cultivation is spread in areas like Kandy, Matale, Belihuloya, Haputale and in certain parts of the Sinharaja forest as well. 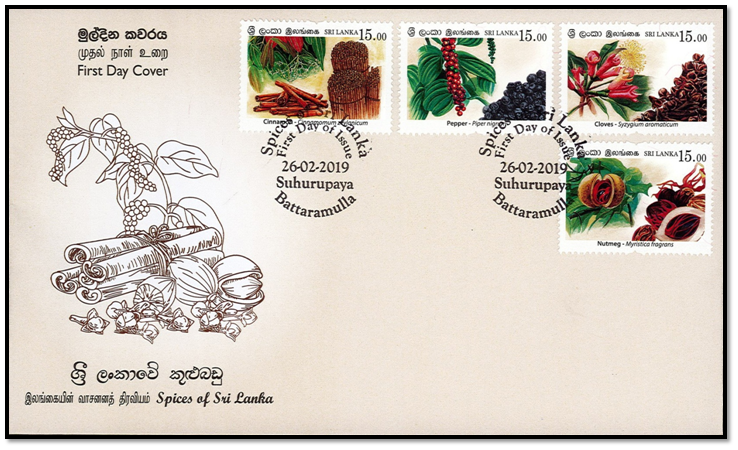 Cinnamon cultivation is also found along the coastal belt from Kalutara to Beliatta and from there to the interior up to Ratnapura. 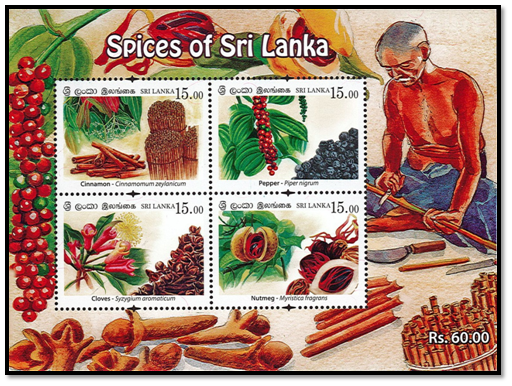 The Districts of Badulla, Hambantota, Colombo and Gampaha too are famous for cinnamon cultivation. Being a tropical plant, cinnamon is a crop that is cultivable under soil conditions which can withstand warm climatic conditions. Cinnamon is also cultivated in the silvery sandy or the white sandy soil, the loam soil and the gravelly laterite soil available in the intermediate and the wet zones of Sri Lanka and particularly in the Galle, Matara, Kalutara and Ratnapura districts. The easiest method of producing cinnamon plants is the use of cinnamon seeds. Apart from that plants can be produced through vegetative reproduction also. Ripe cinnamon fruits with large seeds are more suitable for propagation. When the colour of the bark is brown it is suitable for cropping and when the stems are cut, the cut surface should always be clean and sharp being 45 degrees inclined towards the bush. From a cultivation 8-10 years old, around 5-8 stems can be cut from one bush in a single harvesting time. Under sound controlling conditions harvests can be gathered twice a year. It is mentioned in Ayurveda that cinnamon is capable of containing heart diseases and diabetes. Pepper which accounts for a higher quantity and a higher value in the international spice trade is known by the term ‘the King of Spices”. Termed Piper nigrum botanically, pepper is the spice mostly used throughout the world. It is the mature small and dried pepper seed which is more important economically. While the annual demand for pepper is around 200,000 metric tonnes, it amounts to around 1/3 of the volume of world spice trade. Out of the total pepper imports almost 90% is supplied by countries such as Indonesia, India, Vietnam, Malaysia and Brazil. Among the pepper growing districts in Sri Lanka, Matale, Kandy, Kegalle, Badulla,Ratnapura, Kurunegala and Nuwara Eliya districts stand prominent. At present pepper is being cultivated in a land area of approximately 30,000 hectares. The cultivation can be done by the use of live or non-live supports as a single crop or a mixed crop among tea and coconut cultivations. Pepper can be cultivated in areas up to about 1000 meters above sea level with an annual rainfall of not less than 1750 mm. Since it is a wet tropical crop, it can be better cultivated in areas where the daily temperature changes are very minimal. Pepper grows extremely well in the slightly acidic soil abundant in organic matter and about 60 cm deep with a good drainage of water. At present ten varieties of pepper have been selected on the basis of factors such as high yield, strong pungency, well-rounded fruits, continuous yield and ability to withstand diseases and pests. The two recommended varieties of pepper, Paniyur 1of India Kuching of Malaysia have been experimented in Sri Lanka. Particularly, more important for the propagation of pepper are only the top sprigs and those obtained from creepers running on the ground. For commercial cultivations, more suitable are the sprigs obtained from climbing creepers and creepers running on the ground. Adequate sunlight is essential for a good pepper harvest. When one or two seeds in the upper part of a pod of pepper become yellow, pods can be harvested for black pepper. For white pepper, harvesting should be done when some fruits of well matured pods have turned red. Products of black pepper and white pepper are the main categories when pepper is processed for the market. It is mentioned in Ayurveda that pepper prevents indigestion and phlegmatic disorders. Flowers which are fully grown yet not open in the inflorescences of Eugenia caryophyllata tree belonging to the family Myrtaceae known in the botanical name Syzygium aromaticum are suitable for the trade of cloves when they are dried. The stems which bore the flowers and the leaves too have a commercial value. The clove tree is of medium size with a symmetrical shape and a soft grey bark. At the beginning the tree consists of two or three branches from them branches shoot upwards. When fully grown the trees generally reach a height of around 15-20 meters. Flowers are borne in small terminal inflorescences numbering 3-10. A single inflorescence consists of 3 flowers. The calyx is made of a soft ovary at the top of which are four triangular sepals. Around the stamens of the bud there are four red petals. Cloves grow very luxuriantly in wet tropical climatic areas and an annual rainfall of 1750-2500 mm is suitable for clove cultivation. It is necessary to have wet as well as dry spells of weather alternately for good flowering. Long spells of drought are not suitable for this crop. Although clove is extensively cultivated in the mid-country, the low country wet zone too is suitable for clove cultivation. The existence of an annual temperature of 15 – 30 degrees C is another reason for the success of clove cultivation. Rich deep humous loam soil is extremely suitable for this crop and cloves are also grown in the laterite soil as well as the clay and sand mixed soil without obstacles for the spread of roots. Clove plants are propagated through seeds and the seeds ripe in the tree should be collected and planted immediately. After obtaining seeds from the tree, their viability is lost very fast within 48 hours and therefore they should be planted immediately. A healthy seed is light green in colour and only such seeds should be selected for planting. The appropriate time for harvesting clove buds is the time when the colour of the petals turn yellowish pink from light green. The bunch of flowers is picked with stems and when flowers are plucked it should be done very carefully. The buds should be separated from the stems and dried in the sun until they become dark brown and hard. Drying in the sun should be done for about 4-5 days. Once the stem of clove is properly dried it breaks when bent. When cloves are not properly dry they are soft and known as ‘cooker cloves’. Out of clove buds which are of the correct age, an amount of 30 % dried cloves are available. Cloves which are very well dried (with 8%-10% moisture) can be stored in gunny bags for 1-2 years. According to Ayurveda, cloves are efficacious in tooth diseases, cures dyspepsia and controls gas and bile. The nutmeg plant known by the botanical name Myristica Fragrans was introduced to Sri Lanka around the 19th century. An evergreen plant which grows to a height of about 15-20 meters, its leaves are dark green in colour. Nutmeg fruits are fleshy and hang down from the tree. There are grooves around the fruit and when ripe it turns yellow and splits from the top along the groove and opens showing the shiny seed which is covered over by a crimson network, the mace. Nutmeg cultivation is spread in the wet zone districts of Sri Lanka such as Matale, Kandy, Kegalle, Badulla and Nuwara Eliya. In village gardens both nutmeg and clove trees can be seen together. Two products of spice can be obtained from the nutmeg tree, i.e. the kernel of the nutmeg seed and the mace, which is a slightly elastic network that covers the outer skin of the seed. An evenly spread rainfall of 1500-2500 mm and an average annual temperature of around 20-30 degrees C is suitable for nutmeg cultivation. Although covers are necessary during the first 2-3 years of nutmeg cultivation, thereafter it is suitable to allow full sun light. Deep acidic clay soil and sandy soil with good drainage of water is suitable for the growth of nutmeg and water-logged or marshy soil is not suitable for it. Generally the nutmeg seed is used for propagation and only the dark brown seeds of fruits which split open should be selected for this purpose. Since the viability of the seed is lost after 8-10 days, seeds should be planted as soon as possible. Immediately after the fruits are split or when they are about to split, the fruits are plucked by hand. Sometimes fruits are allowed to fall once the peel is split. The fruits are separated each into two by hand or are gathered in heaps to open on their own. The mace is separated from the place at which it is attached to the base of the seed with a small sharp knife. The nutmeg fruit can also be soaked in water for 4-12 hours before the kernel is removed. Drying should be done until the kernel in the shell rattles when the fruit is shaken. The mace is dried in the sun intermittently until it turns into a dark orange colour and gives out a pungent smell. It is mentioned in Ayurveda that nutmeg controls gas, effective in coagulation of blood, cures gastric disorders and mouth and urine diseases.